Apple Music is quickly gaining ground on Spotify, Cupertino’s main rival in its quest to dominate streaming music. Apple’s service has reportedly racked up 10 million paying subscribers in the six months since its launch. It took Spotify six years to reach that watershed. As of June 2015, Spotify officially had 20 million premium listeners, though recent reports peg that number closer to 25 million, and the company has more than 75 million users total—including those using the ad-supported version of the service. 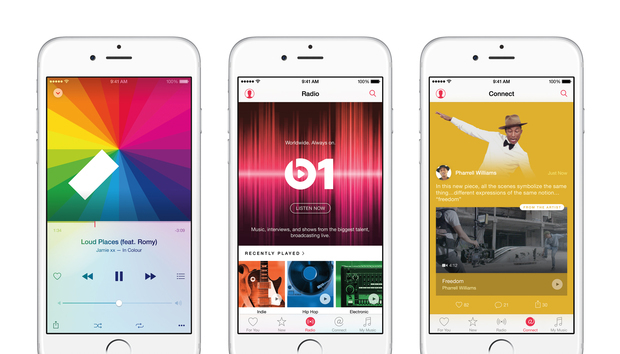 Apple Music doesn’t offer a freemium option. Apple hasn’t actually said that it now has 10 million subscribers—that number comes from a Monday report in the Financial Times. In October, Apple CEO Tim Cook said the service had 15 million users total, with 6.5 million paying for the service and 8.5 million on a free 3-month trial. One music industry analyst told the Financial Times that Apple could beat out Spotify for most subscribers by 2017. While Apple Music is nipping at Spotify’s heels, it’s important to note Cupertino’s advantages: Apple Music launched in 100 countries, compared to Spotify’s current availability in 58 markets. The service also came preinstalled with iOS 8.4, putting it on millions of iPhones on launch day. No other service comes close to Spotify and Apple Music, and the recent death of Rdio—which was purchased by streaming radio app Pandora—proves streaming is a tough industry to compete in. Why this matters: Apple Music’s success is hugely important to the company. Album and song downloads are declining every year, while streaming surges. Apple is also reportedly working on a new pair of totally wireless Bluetooth Beats EarPods. Those EarPods would be a solution for iPhone 7 owners, because Apple’s next-generation iPhone will reportedly ditch the headphone jack to slim the phone down even more.